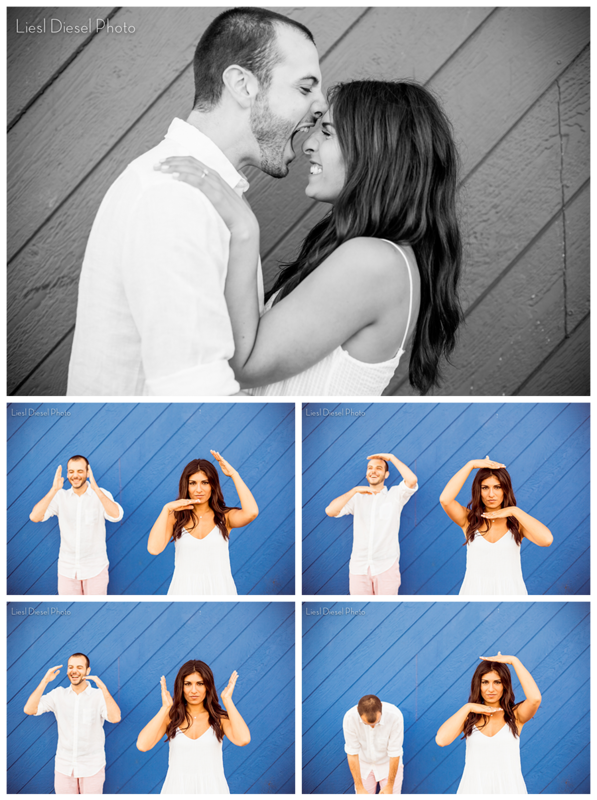 Although my blog is a bit behind I still wanted to share this beautiful Santa Monica Pier engagement session from last year! I first met Alex & Michal over Skype and we became fast friends! After booking me for their wedding we agreed that drinks were a must, and we met up at Culver City Hotel, which I highly recommend! We did bump into a celebrity during this fun evening of imbibing! One of my favorite shots! 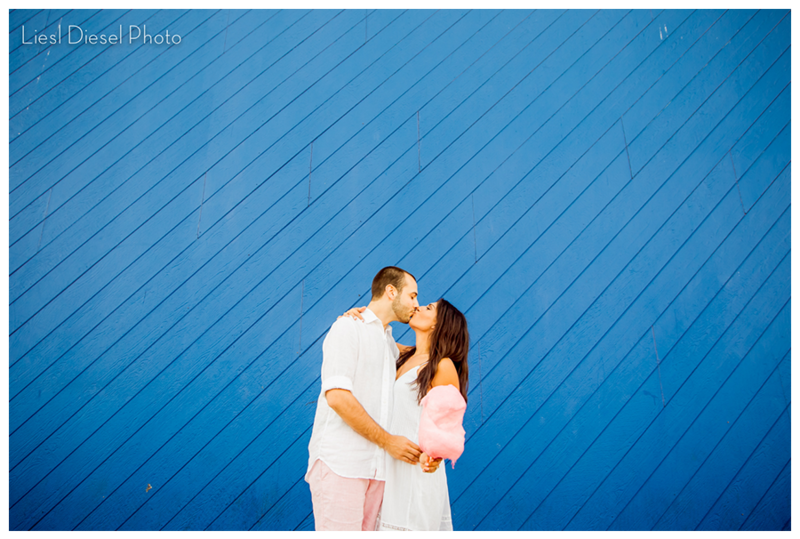 I love simple scenes that are all about the couple, this wall was the perfect backdrop for these two love birds and their pink cotton candy! These two are so fun and loving! Michal dominated the vogue pose! Alex, well, he couldn’t keep it together. It’s not secret that I love patterns and geometry, so I was happy to work with these awesome metal structures! Alex & Michal make everything more beautiful of course! 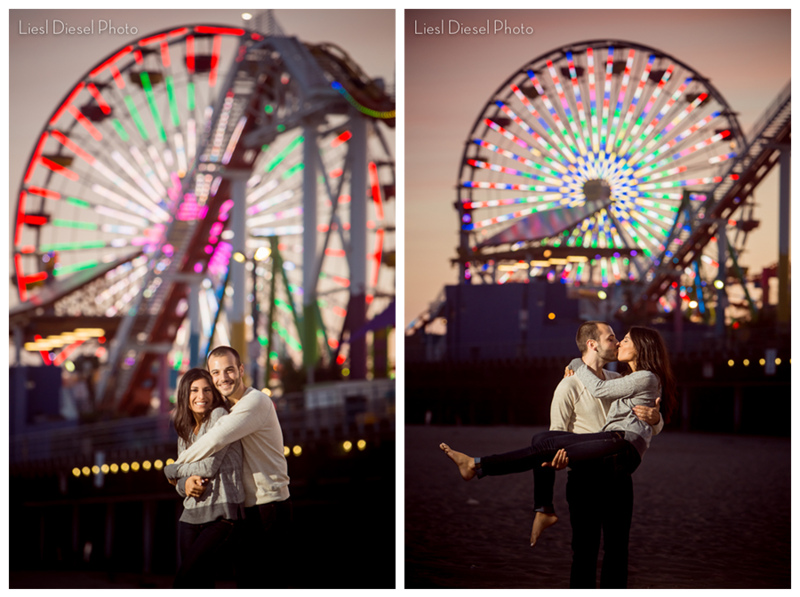 And no Santa Monica Pier engagement session is complete without en evening shot of the Ferris Wheel lit up at night! You two are so much fun to hang out with, I hope we get to meet up soon! I will be blogging your wedding photos soon as well! 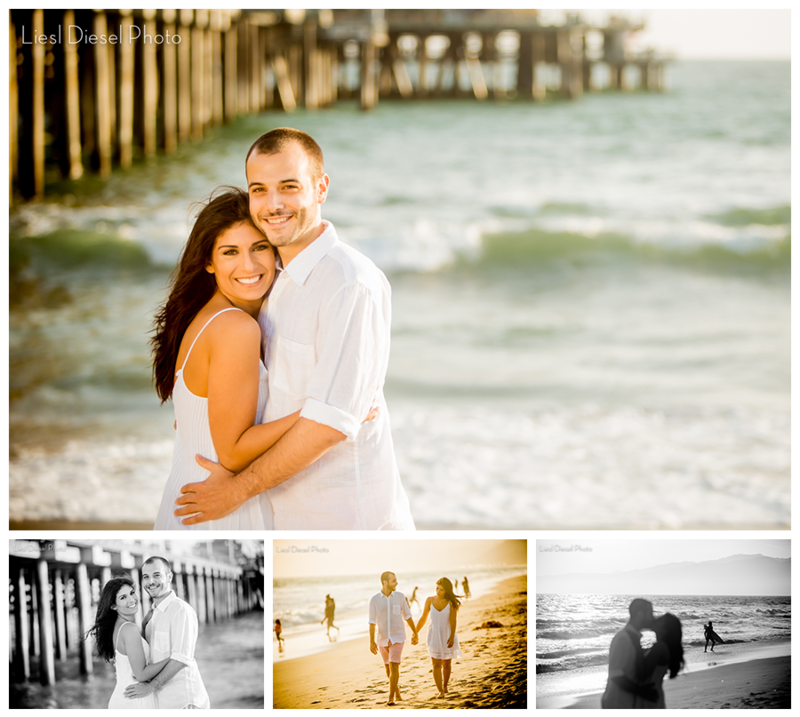 This entry was posted in california, engagements, Portraits and tagged cotton candy, engagement session, ferris wheel, liesl diesel photo, palm trees, santa monica pier, santa monica pier engagement session, sunset, surfing. Bookmark the permalink. Beautiful and fun!! love it! Liesl Diesel Photo on Facebook!